If you’ve spent any time reading my blog post for the past 5 years, you know that I believe very strongly that nutrition plays a very important role in caring for your beautiful black skin. Let’s talk about Spirulina … What is it? Imagine … you come across a plant that’s been said to nourish your body, provide you with most of the protein you need to live, it can prevent sniffling and sneezing from allergies, reinforce your immune system, help control your blood pressure and cholesterol And help protect you from cancer. Yes, this is what they’re saying about spirulina. Spirulina is not the average plant found in your garden. It’s often referred to as the miracle plant. It’s actually blue green algae that’s found in bodies of warm fresh water. One of the oldest life forms on earth, Spirulina cells contain no nucleus and their walls are soft. Why is this important? Because it allows for very easy and complete digestion of the nutrients in Spirulina. 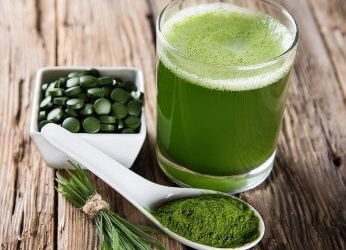 Did you know that Spirulina was considered a food staple for certain people for centuries. It’s said that the Mayans and Aztecs consumed Spirulina and actually used it as a form of trade goods.